The day of Ronnie and Jack's wedding has arrived - will they get the day of their dreams? Max makes a shocking discovery. Whitney steps up to offer support. One resident is forced to do the unthinkable. Babe ruffles some feathers. 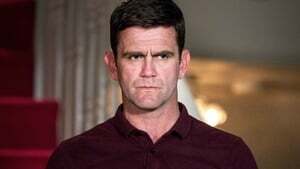 Patrick is left stunned by Denise's latest revelation. Mick's problems continue, and one family struggles to hold it together. Secrets are set to explode for some of Walford's residents. Denise goes into labour, but will she go through with her plan? Bex is torn by her future. Dot finds herself in an uncomfortable position when Glenda makes a request. Tensions remain high for the Fox family following recent events. Things grow fraught for Whitney and Lee. Is this the end of their relationship? 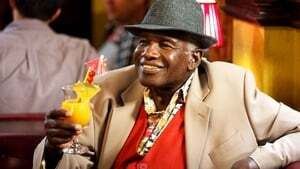 It's a tough day in Walford as the residents prepare to say farewell to Ronnie and Roxy. The cracks start to show for the Mitchells and Brannings. Louise prepares for her date. 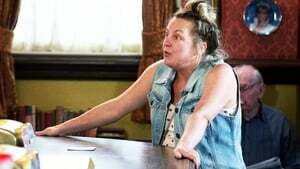 Stacey grows frustrated at Martin's actions. Louise is left mortified by recent events. Jay is given food for thought by Billy. A double decker bus crashes into Watford market tube station. Mick is shocked by what he sees. Stacey receives some alarming news. One resident makes a huge decision. The residents reel from the events of last week and do their best to return to normal. Tina takes matters into her own hands, and there is more trouble in store for the Carters. Things go from bad to worse for one Walford family, and Babe stirs up more trouble. Tensions simmer for the Fox family. Carmel is disappointed by Shakil's latest actions. The Carters reach crisis point. Shakil struggles to cope with the gossip. Babe attempts to make amends. One resident is faced with a tough decision. Jack grows paranoid at Glenda's intentions. Mick does his best to remain positive. The pressure builds for one Walford couple. Michelle reaches out to Bex. 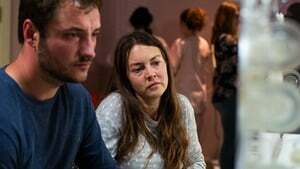 Whitney and Lee's relationship reaches breaking point. Jay struggles with recent news. 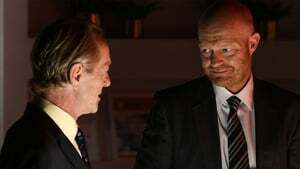 It's Valentine's Day in Albert Square, and one Walford couple try to look to the future. Michelle struggles with her situation. Stacey steps in to help a friend. 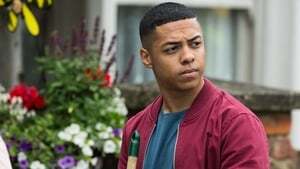 Shakil stirs up trouble for Bex and Louise. The Carters hold the next themed night at The Vic but things take an unexpected turn. Denise is faced with a difficult situation. Whitney receives some upsetting news. Denise is forced to deal with the consequences of her actions. 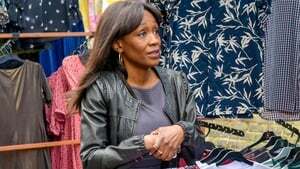 Denise decides to take action following recent events. Jack offers a lifeline to a friend. The residents react to Denise's latest actions. 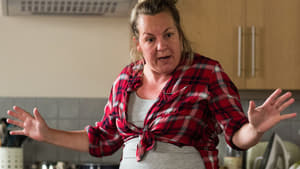 Jane tries to get through to Ian. Kim attempts to help her sister, but will her idea work? Ian gets a scare, leaving Jane to take control. Tina is annoyed when she realises what Shirley has been up to. Denise is thrown into turmoil. Bex's world is turned upside down. A desperate Mick sees a way out - will he get the answer he hopes for? Michelle is thrown into panic. Shirley comes up with an idea to help Mick. Martin tries to do what is best for his daughter. Things grow even worse for Bex. Recent actions catch up with Michelle. Mick starts to lose hope. Mick receives an unexpected offer. Bex remains in turmoil. Carmel crosses a line, leading to a fraught situation. 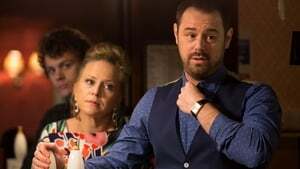 Mick throws himself into turning things around for the Carters. Tina ends up having to take Sylvie to work. Mick gets a shock. Kush makes matters worse for himself. Lauren tries to build bridges with Max. Bex finds herself in a desperate situation. The Carters prepare for St Patrick's Day celebrations at the Vic. Denise remains on edge as she waits to hear about her future. Lauren confides in Whitney. 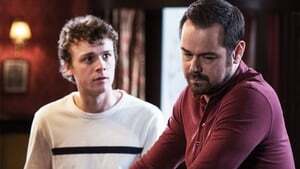 Jay throws a house party for Ben's birthday but soon gets a shock. Lauren is taken back by Max's suggestion. Whitney grows concerned at Lauren's intentions. Michelle gets a surprise, but things later take a turn. Michelle struggles with the rising pressure. Whitney does her best to get through to Lauren. Michelle reaches breaking point. Whitney goes all out to support Tina. Michelle's world comes crashing down. Denise has a proposition for Kush. The aftermath of earlier events sends shockwaves across the square. 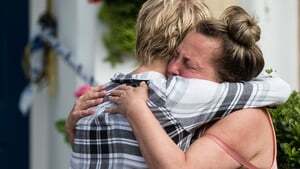 With residents still reeling from recent events, it is a time for family and friends to pull together - but who will stand by their loved ones? One family lies in pieces as another drifts even further apart. Kush learns some upsetting news. One resident realises the severity of their situation. 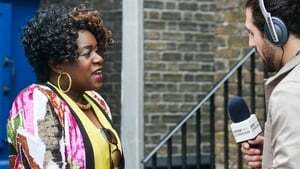 Tina pays a visit to Shirley - how will it go down? Tina receives a helping hand. Bex reels from recent events. Lauren shares some news with Max - how will he react? One resident comes to an upsetting realisation. The residents rally together for the sponsored bike ride. Carmel receives help from someone unexpected. 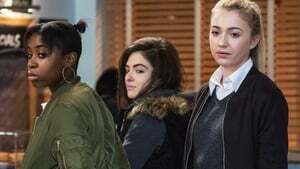 Madison and Alexandra continue to cause problems for Bex. Things start to look up for Bex but how long will her happiness last? Michelle struggles to stay positive. Stacey attempts to build bridges with Michelle - how will Martin react? Bex is taken aback by Alexandra and Madison's latest act. The Fowlers host a family dinner - will all go to plan? Lauren is torn by a tempting situation. 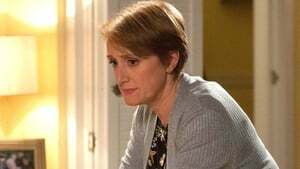 Louise is forced to face reality, Denise gets a shock, and Shirley finds herself torn. 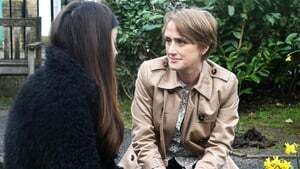 Sonia is forced to het the truth from Bex about the bullying. 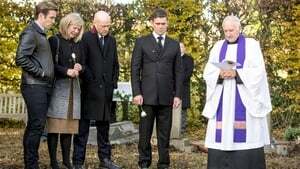 The Carters prepare for Sylvie's funeral. and Tina is disappointed about the turn out. There is a new face in Albert Square - but how will their arrival go down? Steven does his best to help Lauren, and Ben offers help to an unlikely friend. The Carters' problems grow even more. Michelle comes up with an idea to help Louise, while Lauren takes a big step. Shirley is faced with the unthinkable. Carmel is made to rethink recent choices. Steven tries to cheer Lauren up as she waits to hear some important news. 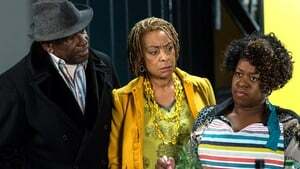 The Carters are shocked by Shirley's solution to their money problems. 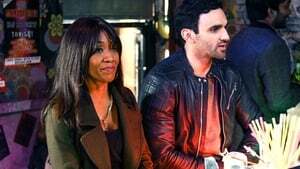 Carmel joins Kush and Denise for a drink, will they remain civil? A new arrival immediately gets on the wrong side of one family. Ben and Jay are taken back by Donna's latest suggestion. Keegan gets up to no good. Max meddles with someone's future. Abi is faced with a tough decision. The residents are shocked by recent events at the Vic. Madison and Alexandra cause trouble for one resident. Denise hides a troubling secret from her friends and family. Kush grows concerned about Denise. Jack attempts to get back to normal. Louise is thrown a curveball by Madison and Alexandra. Denise is forced to go to desperate lengths. Max shares his concerns with Dot. The pressure rises for Denise - will she admit the truth? One resident faces the consequences of their actions. Denise sees a glimmer of hope. Lauren is excited for her new challenge. Bex is determined to get the truth. Kush grows frustrated at Carmel's interference. Lauren is annoyed when Steven shows up unannounced. Whitney gets a shock when a familiar face arrives with some news. Stacey tells Martin to sort things with Michelle. Abi gets more than she bargained for with her new housemates. Whitney receives support from an unexpected friend. Sharon reaches out to Denise. Things take a turn for the worse for Jack. Denise is knocked back once more. Ian is given food for thought about his situation, but can anyone get through to him? Stacey steps in to help Martin and Kush. Can the pair put their differences aside? Kim reaches the end of her tether with Denise. Denise is forced to swallow her pride. Woody is shocked by what he sees. Denise is offered a helping hand, but will she accept it? Max is forced to give Jack a reality check. One resident gets more than they bargained for. Shirley struggles with the burden of her secret. Dot attempts to fix the mess with Charlie and Jack. Whitney is on the receiving end of some harsh words. Things heat up between Josh and Lauren. Max gets a shock from the past. Johnny and Whitney do their best to hold the Carters together. Billy receives a proposition. Jack resorts to drastic action. Denise prepares for her final exam. 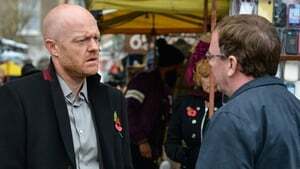 Ted and Joyce arrive in the square, but is all as it seems? Two residents are forced to face the reality of their actions. Denise gets a welcome surprise. Kim gets a harsh reality check. Jack is forced to think about the reality of his situation. Lauren finds herself in an awkward situation. Max grows concerned about Jack's intentions. Jack is faced with a huge decision. The Carters prepare for a meeting with Fi, but will they be able to impress? Lauren struggles under the pressure. Kim attempts to offer Denise advice, but will she accept it? Denise acts upon her feelings. Lauren opens up to a familiar face about what's going on. Steven's paranoia and frustration at Lauren grows. One resident is faced with a heartbreaking situation. Abi does her best to support her sister but things soon become tricky. Max takes matters into his own hands. Lauren is faced with a challenging day. 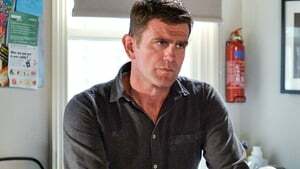 Keegan causes trouble for Louise, but is he telling the truth? Lauren clocks on to Max's odd behaviour at work. Louise is left distraught by recent events. 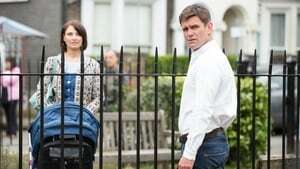 The Taylors arrive in Albert Square and immediately catch the eyes of their neighbours, but what trouble do they bring? Max throws Lauren a curveball. 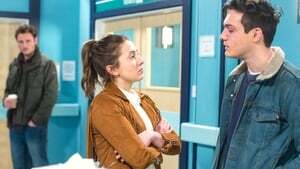 Louise struggles with the repercussions of Keegan's actions. The Taylors are off to a bad start with some of their neighbours. 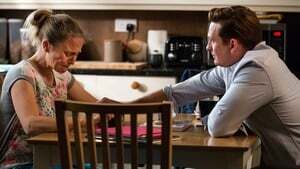 Steven does his best to reach out to Ian on Father's Day - but will he get the response he is hoping for? The Mitchells receive some frustrating news. Steven struggles to comprehend recent events. Lauren receives a surprise visitor. Sharon attempts to fix things for Louise. Denise and Kush find themselves in hot water. Honey does her best to support Billy as he prepares for a big day in his career. It is Abi's 21st birthday party - will she get the party of her dreams? Things take a turn for Kush. 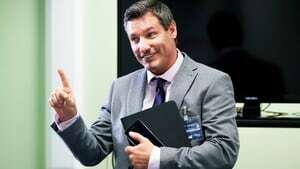 What brings Robbie back to Walford? It's Patrick's birthday and while getting spoilt by his family, he gets a special surprise. Tragedy strikes for one resident. Dot finds herself in a frightening situation. Robbie attempts to make his mark. Derek receives some upsetting news. Patrick reels from events. Johnny does his best to help Derek. Things take a turn for Mick. The Carters prepare for Linda's surprise birthday party but will things go to plan? 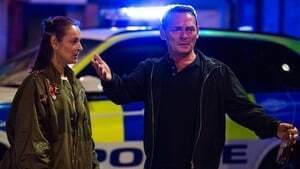 Sonia and Martin come to blows over Bex's future. 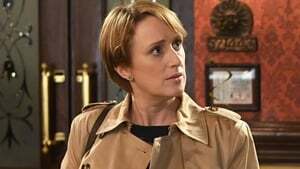 Karen grows suspicious of Bernadette's unusual behaviour. Abi gets up to no good. Robbie receives some worrying news. Steven goes to extreme lengths to find out what Lauren is up to. Tensions simmer between Martin and Sonia. Reality hits home for Karen. Abi learns of Steven's plan - what will she do? Karen attempts to make a good impression on Ian. The Taylors cause trouble in the square. Steven struggles to stay in control. Sonia grows frustrated at a stubborn Dot. Lauren has an honest conversation with Josh. 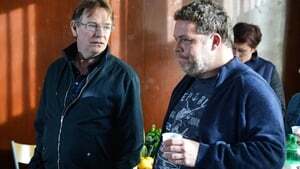 The traders are left in uproar when Robbie takes drastic action. Karen worries about Bernadette. Abi sees an opportunity and decides to take advantage. Denise finds herself in an awkward situation. Steven grows ever more paranoid and struggles to hold it together. It is the day of the showcase at the school - what do Madison and Alexandra have planned? Lauren makes a huge decision, but can anyone stop her? Michelle opens up about her past to Tom - how will he react? Abi gives Steven a stern warning about his actions - will he listen? Ian worries when he learns the truth. Dot returns to the square. 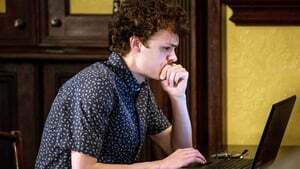 Max does some digging on Steven - what will he discover? Robbie is thrown in at the deep end. Kush and Denise receive some promising news. It is the day of the school prom, but Alexandra and Madison are determined to cause trouble. Carmel makes a discovery. The school prom is thrown into chaos with severe consequences. Max finds himself on dodgy ground - does someone know what he is up to? One resident is faced with a life-changing situation. Lauren is taken aback by Steven's latest request. 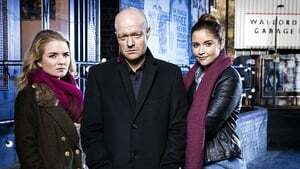 Phil Mitchell is back in Albert Square, but what brings him home? Abi sees a glimmer of hope for her future with Steven - is all as it seems? Max makes things worse for an oblivious Lauren. Carmel is thrown by some unexpected news. Denise tries to get to the bottom of what is going on with Carmel. Shirley takes matters into her own hands. 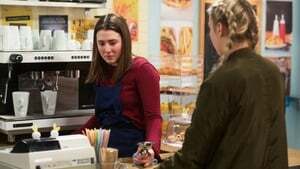 Whitney returns to Albert Square - how will the Carters react? Steven finds himself in an alarming situation. 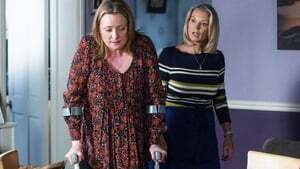 Karen tries to get to the bottom of Bernadette's behaviour. Whitney shares her news with a stunned Mick. Steven is backed into a corner by Max - is his secret about to come out? One resident goes to desperate lengths. Past actions catch up with the Taylor family. Lauren confides in Whitney about what has been going on. The Mitchell family are thrown into a panic. Whitney and Mick have a heart-to-heart. Can they keep their emotions under control? One resident sees a glimmer of hope. 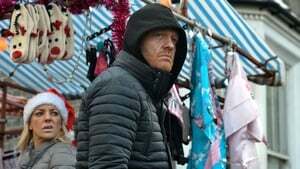 Mick is left on tenterhooks as Linda makes her return to the square. 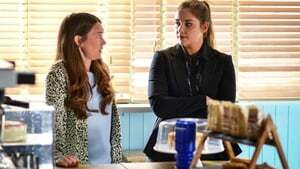 Abi continues to meddle in Lauren's relationship. With Linda back at the Vic, Mick finally admits the truth about what happened while she was away. Mick and Linda are at breaking point. Carmel is stunned by Max's latest act. Cora pays a visit to Lauren. Steven tries to regain control. Carmel gets a glimpse of Max's true colours. Phil is left pondering a huge decision. Fi attempts to help Linda see sense. Carmel is left red in the face. Ben comes to an upsetting realisation, leaving him questioning his relationship with Phil. Linda continues her ploy to take back control of the Vic. 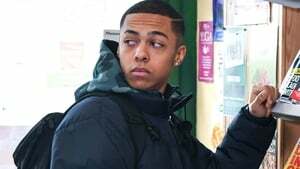 Jay attempts to fix things for Ben but gets more than he bargained for. Steven struggles with Max's demands forcing him to reconsider his plan. The Taylors' financial woes grow. The Mitchells grow concerned about Phil's behaviour - can anyone get through to him? Max's latest plot sends one family's plans into chaos. Keanu grows desperate to help his family. 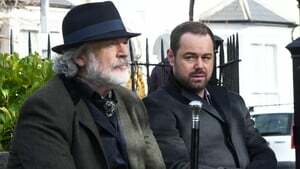 Jay's world crumbles around him as Phil reveals a shocking revelation about the past, forcing Jay to question everything. Linda continues to undermine Fi. Jack is made to think about his recent behaviour. Ben demands answers from Jay as to what's going on. Mick does his best to make things up to Linda. Michelle gets an unexpected visitor. It's Ladies' Night at the Vic, but the night comes to a sudden end for Linda. The Murrays make an upsetting discovery and are quick to point the finger. Michelle causes a scene in front of her friends. 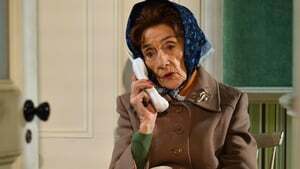 With tensions still high at the Vic, Shirley attempts to resolve matters once and for all. Lauren returns to the square on a mission to help Steven. Jane and Ian receive some hopeful news. Lauren urges Steven to tell his family the truth. 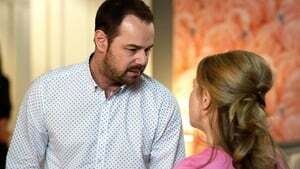 Linda leaves Mick at a loss, leading him to come to an upsetting realisation. Mick tries his best to fix things. Max worries about Steven's latest act. Billy grows concerned about Jay's behaviour. Fi opens up to Mick about her past. Jane makes a startling discovery. Linda makes a huge decision about her future - is this the end of Mick and Linda? Max fears someone may know his secret. 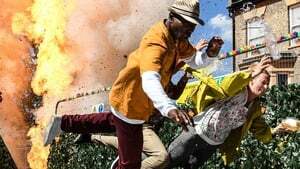 The Walford in Bloom celebrations are thrown into chaos as disaster strikes the square. The pressure becomes unbearable for Steven, leading him to take drastic action. Lives are left hanging in the balance as recent actions lead to tragic consequences. As things look up for one family, tragedy strikes for another. Families are left in pieces following the disastrous events of the previous week. One resident is faced with demons from the past. Kush has a proposition for Denise, but events take an alarming turn. Bernadette is devastated by Karen's actions. A worrying truth comes to light leaving someone in turmoil. 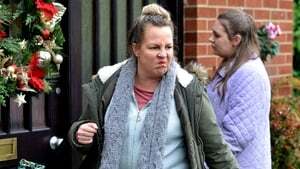 A guilty Denise is left in shock following on from events with Kush. Karen receives welcome support from an unexpected friend. Stacey receives some worrying news. Kathy is distraught to learn about recent events. Kathy is given some upsetting home truths. Two residents attempt to put the past behind them - but can they move on? Sharon and Kathy make an unexpected discovery. Bex is left heartbroken. It is an emotional day in the square as the residents prepare to say a final goodbye to one of their own. Linda struggles with the burden of everything that has happened. A shocking truth turns someone's world upside down. Stacey is pushed to her limits. Michelle grows frustrated at Tom's persistence. The Fowlers and Kazemis wait for some life-changing news. Karen tries to help Bernadette. Johnny and Woody get an unexpected visitor. Martin does his best to get through to a fuming Stacey. Shakil gets more than he bargained for when paying a visit to the Taylors. Sharon supports Michelle as she takes a big step. 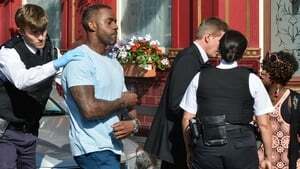 The situation between Martin and Stacey grows worse. Jay and Donna meddle in Ben's love life. Martin and Stacey's world is turned upside down. The past catches up with Sonia. Carmel is left shaken by recent events. Whitney and Woody receive some exciting news. Carmel takes matters into her own hands. Ben is taken aback by Phil's latest offer. Michelle grows unnerved by Tom's recent actions. A torn Carmel makes a huge decision - but will she regret it? Dot finds herself in an awkward situation. Stacey struggles to come to terms with what has happened. Kush comes to a worrying realisation about recent events. Linda fears the worst. Stacey and Martin anxiously wait for news. Kush demands answers from Carmel. 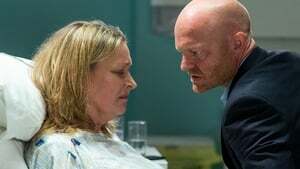 Mick realises all is not well with Linda. When Mick learns the truth, he questions everything about the past few months. Max is alarmed when he learns that Jane has woken up. Michelle takes action against Tom. The pressure rises for Stacey. Carmel is given an ultimatum. 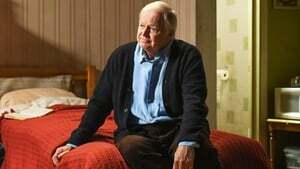 Martin is thrown into turmoil as he fears the worse. Max gives Jane a threat she can't ignore. 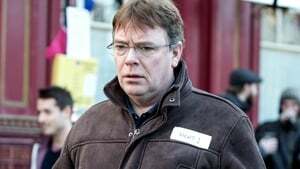 Ian reveals some life-changing news to his family. The pressure continues for Max. Michelle does her best to support Martin. The Fowlers pull together. Jane attempts to stand her ground with Max, but will he get the upper hand? The Carters receive some bad news. Sharon fears for Michelle as Tom persists in contacting her. Fi heaps the pressure on Max - how much more can he take? The Carters' problems go from bad to worse. Max starts to waiver on his plan, leaving Fi on edge. Luke takes advantage of his relationship with Ben. Max stands his ground but what will be the consequences? Billy faces an unsettling reality. The Carters are left to contemplate their future. The past catches up with Abi. Lauren attempts to put the past behind her. Tina finds herself in a terrifying situation. Lauren realises everything she knew was a lie. Tina's problems worsen. Shirley does her best to support Tina. Honey and Billy's world is turned upside down. Michelle goes to desperate lengths to stop Tom. Tina comes to a horrifying realisation. Lauren reels from Abi's latest bombshell - has Abi gone too far this time? Shakil stands up to Bex. Kathy comes face to face with a ghost from the past. Billy reels from recent events. Billy is horrified to learn the truth about what happened. With her own interests at heart, Abi makes a big decision. Sharon is concerned when Michelle takes matters into her own hands. Ian is determined to find out what is wrong with his mum. Fi tries to prove a point to her father - what is she up to? Sharon is concerned about Phil's suspicious behaviour. Phil is forced to takes matters into his own hands. Mick comes to a decision about The Vic. Ben is left seething by recent discoveries. Gethin's plan does not go how he hoped. Carmel pulls out all the stops to make amends with Stacey. Ben makes a brave decision. 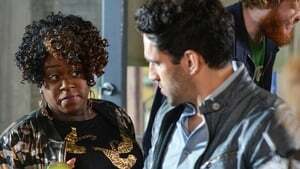 Louise tries to help Shakil and Bex get back on track. Ian is concerned by Kathy's latest plan. Carmel worries about Shakil and asks Kush to find out what's bothering him. Kim makes a surprising discovery. Whitney gets a surprise visitor, causing tension with Woody. Lauren does her best to resist the chemistry between her and Josh. Karen's money problems worsen. Karen tries to take control of her financial situation. Things grow fraught between Woody and Whitney as the visitor continues to cause problems. Linda and Shirley get involved with Karen's problems. Whitney begins to have doubts. Ted and Joyce head to court - what will the verdict be? Whitney questions her relationship with Woody. Joyce gives Karen some potentially good news. Phil gets a surprise when an old friend arrives on his doorstep. Max panics when he learns what Lauren has discovered. Woody has some surprising news for the Carters, leaving Whitney unsure about their future. Mick and Linda try to help Whitney and Woody with their relationship struggles. With his interest piqued, Phil does some digging. Linda's fears come back to haunt her. Carmel seeks further commitment from Max, leaving him uncomfortable. Ben receives an unwelcome gift. 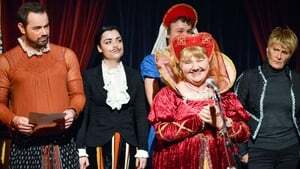 It's deadline day for the Carters but can they save their beloved Queen Victoria? Thinking her dreams are about to come true, Carmel excitedly makes plans. Ben finds himself in a dangerous situation when he tries to stand up for himself. Max finds himself in a dangerous position. Sharon is concerned that Phil is returning to his old ways with Aidan on the scene. Phil continues to show Vincent up. Kathy lets her anger be known but she is floored when she learns the truth. 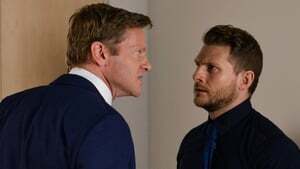 Tensions simmer among the Branning family and just when Max tries to sort things out, more lies are exposed. Aidan lets Mick in on his past, but does he have an ulterior motive? Denise gives some tough words of advice. Max continues to wreak havoc on his family. Mick and Linda get excited when they see an opportunity. Ian reaches out to Kathy. Ian comes face to face with James Willmott-Brown. 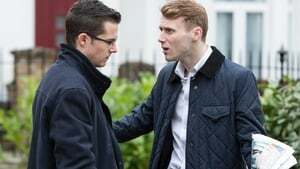 Aidan clashes with Phil. Josh takes matters into his own hands. 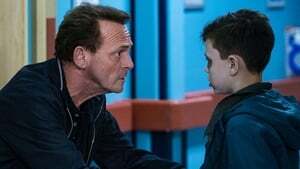 Jack is stunned when he learns a shocking truth. Whitney decides to play matchmaker, but will all go to plan? The pressure mounts for Max. Fi desperately tries to keep her family together. Donna steps in to help Robbie. The pressure mounts for Vincent and leaves him in an uncomfortable situation. 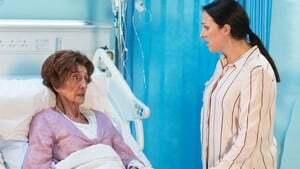 Tina reveals her fears to Shirley. Linda digs for information on what Mick is up to. Mick gets an unwelcome surprise. Ian is stunned to learn of Lauren's actions. Robbie throws all his efforts into saving the market. Ian is left unnerved by Max's strange behaviour, and events soon take an alarming turn. Linda gets more than she bargained for when looking for her Christmas present. Lauren fears for Max. Aidan piles on the pressure. With Max's life in pieces, Stacey reaches out to help. Karen tries to get to the bottom of the stolen phones. Aidan puts Mick in a precarious situation. It is Christmas Day in Albert Square, and things are set to explode in catastrophic style for Max. Mick and Linda prepare for their vow renewal, but Mick's day is thrown into turmoil when Aidan plays a very dangerous game. As the full horror of what has happened unfolds, it is clear life for the Brannings will never be the same again. 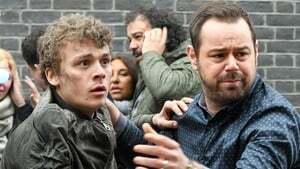 The residents of Albert Square struggle to get back to normal. Kathy receives an unwelcome visitor. 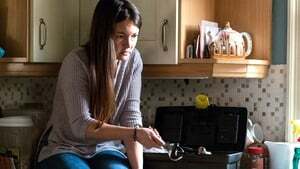 Karen's financial situation forces her to reach out to her sister. Fi takes matters into her own hands. The Carters remain hell-bent on securing their future. 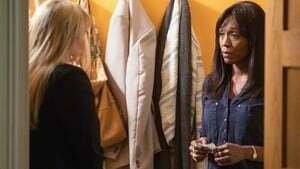 Bernadette pleads with Kandice for help. Aidan puts the final pieces in place for his big job, leaving those involved on edge. Mick is faced with a big decision. Kush finds himself in a predicament.